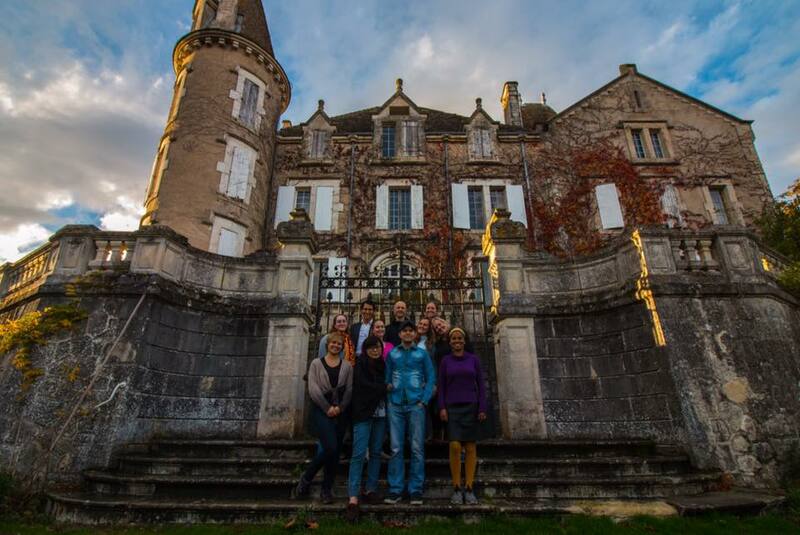 In November 2016, I rented a castle for Nanowrimo (national novel writing month) and split it with a dozen authors. It was pretty epic, and we got featured in CNN, had lots of adventures, finished some books and explored the medieval history of Southern France. It was the first step towards my dream of buying a castle to use as the world’s best coworking space and shared office; where creative people can be inspired and supported to focus on finishing their Best Work without distraction. I’m interested in curating a group of experienced, serious authors, who want to get a whole bunch of writing done quickly, and turn it into a finished book that sells. But I also realize, most people don’t have as fluid a lifestyle, which allows them to live abroad for long stretches of time (my wife and I have been location independent, with no permanent home base, for the last several years). So everyone’s invited, though we’ll screen the guest list to make sure everyone has the best possible experience. Renting a castle may seem extravagant, but compared to other writing retreats I think we can offer a pretty good deal. A lot of writing retreats cost $2000 to $3000 for just one week, and they don’t have much to offer apart from the environment (which is usually a little cabin or plain hotel… not a castle). I’m hoping to charge $2500 for a full month, to keep it competitive with the other digital nomad / coworking / coliving opportunities I’ve seen recently. I love the idea of living and traveling with other people, sharing the incredible experience of life in a castle, while also using my expertise and publishing skills to help authors finish and launch bestsellers. Click here to check out the latest writing retreats. Here’s a video introduction explaining why I’m renting a castle… this is older, so I was still in the planning stages. Now that I have one successful retreat behind me (soon to be three) I’ll keep posting new videos and pictures on the homepage. An incredible view. Centuries of history. Nature, solitude, quiet. A digital detox. Recharge your creativity for years to come. We’ll have a buffet breakfast, a DIY lunch and hot dinner every night, plus snacks. We’ll have a lot of fresh, local food, and also a lot of snacks (if you’re like me, you need to snack when you’re writing). And of course, tons of coffee and tea. This won’t be a hotel, more like a self-service B&B. So it won’t be 5-star service. The castle will be modern (hot water, plumbing, etc), but probably not as comfortable as a regular house. Plus it’s November, so it could be cold… but we’ll have fires and blankets. I’ll make sure you’re comfortable and have everything you need. I’m excited about renting a castle for Nanowrimo 2016, and want to share the opportunity with as many authors as possible. Depending on the demand, we may stay in castles for several months, and not just for November. My name is Derek Murphy, and I do a lot of fun and crazy things online. For the past 5 years I’ve been a book cover designer; I also started an editing company while working on my PhD in literature. As of 2016, I’m no longer doing services – now I write full-time and manage my online businesses. On my websites, I talk a lot about book design, marketing, building author platforms and reaching new readers. Here’s one of my books.